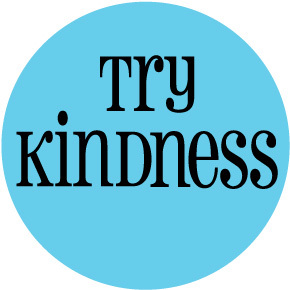 "Seven Virtues and Your Marriage: Kindness"
The definition of kindness is “the quality of being friendly, generous, and considerate.” I want people to see me this way. I go out of my way to talk to people. I know my barista, the checkout person at the grocery store, and the people at my favorite restaurant. I call them by name and they do the same for me. I talk to people I don’t know all the time. I like to treat people the way I want to be treated. KIndness is important to me. But what about in my marriage? Does Nancy see me that way? Would she describe me as a husband that is friendly, generous, and considerate? I want her to see me as the “kindest person” that she knows. How can I do that? How can you do that? Let’s break it down. Friendly: Save your best for your spouse. Often our spouse gets the leftovers. They get what is left after a long day and often it is not much and not very friendly. So smile and laugh, and enjoy him/her. Generous: Be generous with your time, your money, and your love. Considerate: Take the “Golden Rule” and supersize it for your spouse. Go over and above in the way you treat your spouse. Here is a principal that I promise works. If you are consistently kind to your spouse day after day, week after week, and year after year, you know what will happen? They will also be kind to you. Think about that. Isn’t that something that you would like? Isn’t that a big part of an Awesome Marriage? Kindness could transform your marriage. Begin today and see what happens.